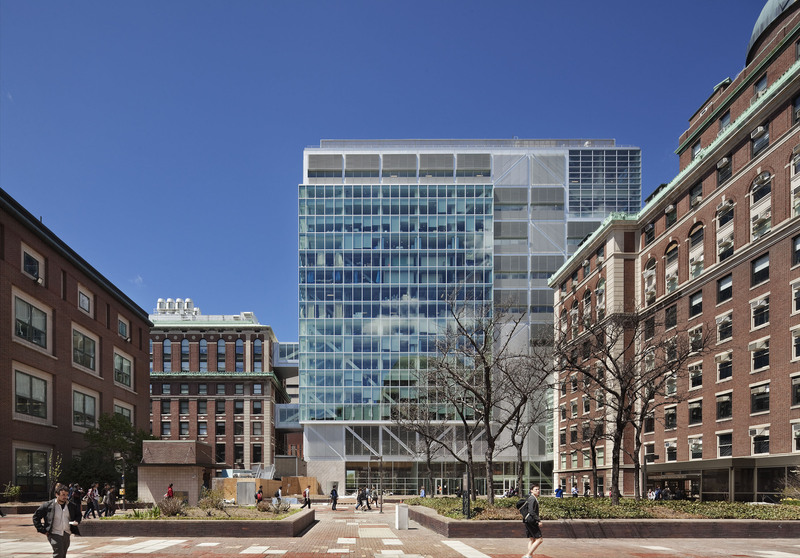 The Northwest Corner Science Building is a new addition to Columbia University’s Beaux-Arts campus master plan, (McKim, Mead, & White, 1897), and includes laboratories, offices, and classrooms as well as a library, auditorium, and café. 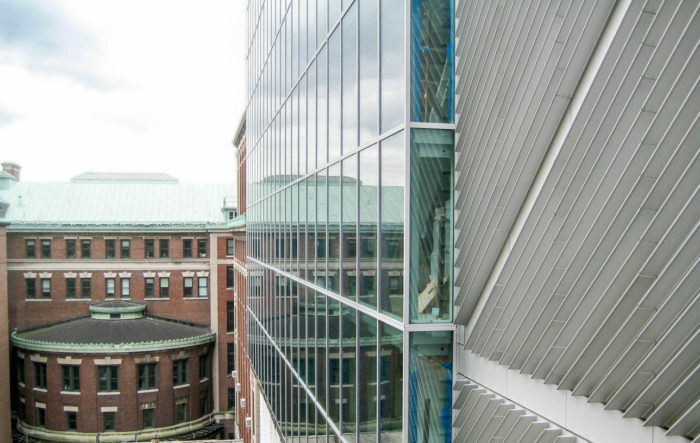 The design is a bold contrast to the historic style of the campus, with a curtain wall of articulated aluminum cladding and glass that reflects the unique trussed steel structure of the building which spans across the existing gym. 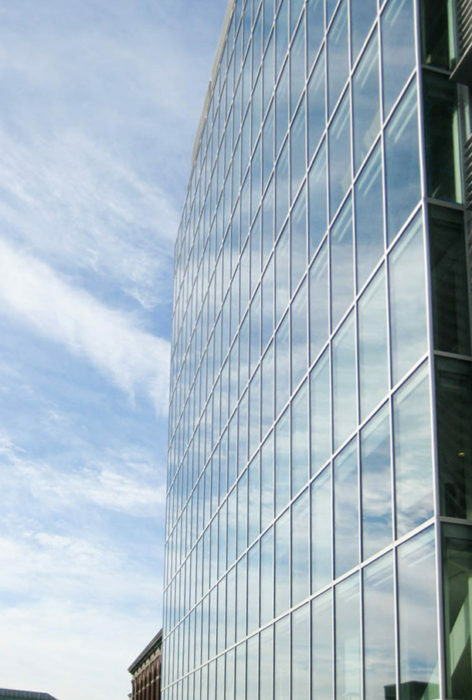 The main curtain wall system consists of double-height glass-and-aluminum units with custom-profiled anodized aluminum rainscreen panels and sunshades. 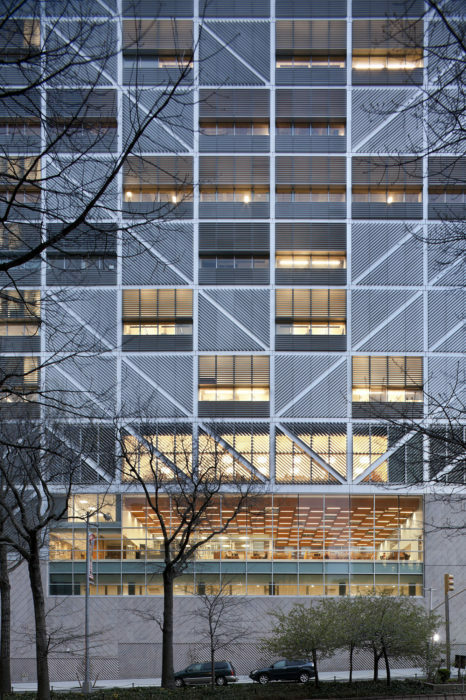 A unique all-glass monumental curtain wall wraps around the northwest corner of the building, enclosing the cafe, and incorporates profiled steel plate mullions. 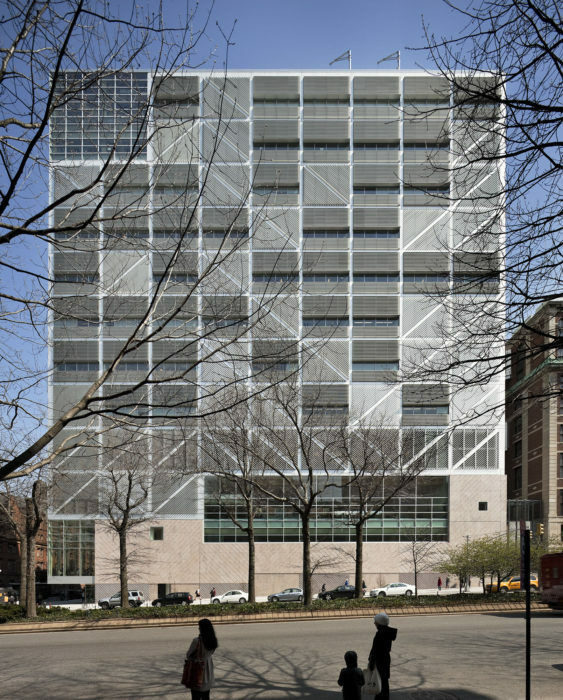 At the base however, the campus standard Stoney Greek granite with a diagonal pattern provides a symbolic link to the rest of the campus. 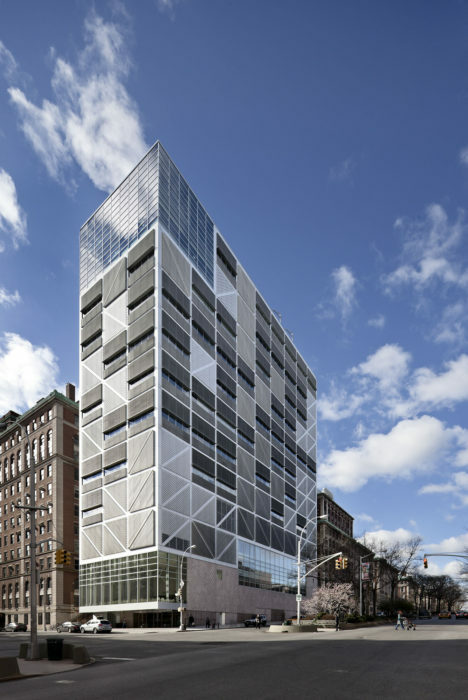 Despite the heavy demands of the laboratory space, the project achieved LEED Gold certification. 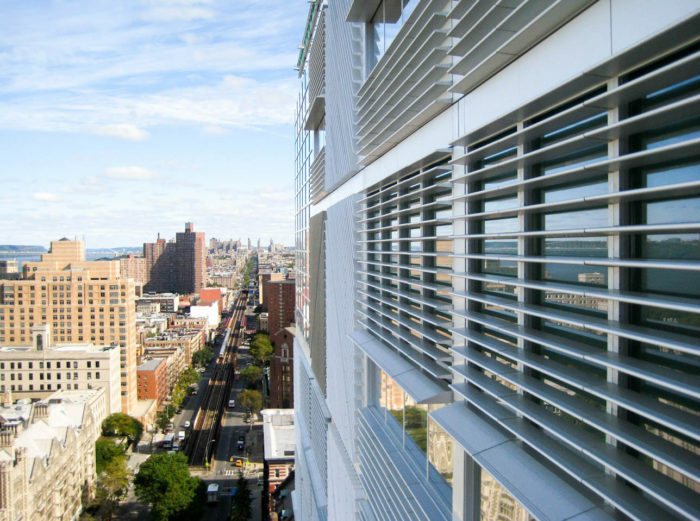 Heintges provided consulting services for the design and engineering of the full exterior envelope and performed NYC DOB Special Inspections. Photographs 1-4 by Michael Moran/OTTO; Photographs 5-7 by Heintges.